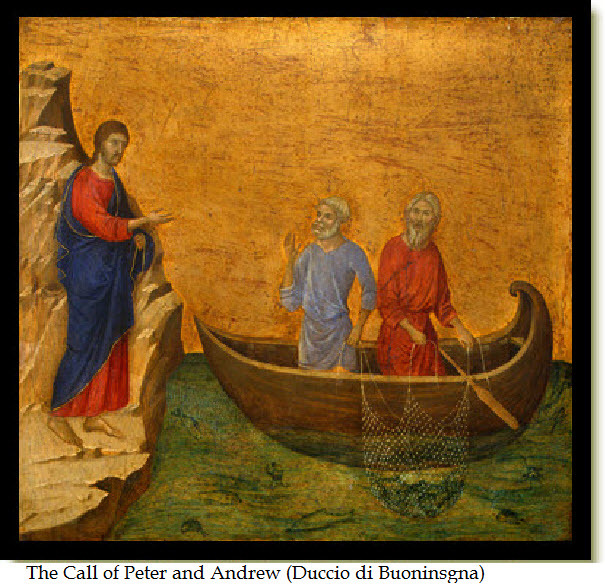 The call to be a disciple of Jesus has an outward focus in that everyone is invited to step out of the “boat” of the familiar boundaries and maintaining the “nets” of the status quo. It’s in this “casting ourselves outward” that we begin to step into our identities as disciples by learning to see the glory of God in the most mundane of circumstances and places. Henri Nouwen said, “My deepest vocation is to be a witness to the glimpses of God I have been allowed to catch.” It’s not really about God revealing himself to us, but rather our eyes being opened to the incredibly multitudinous ways in which he already has revealed his love. In the rabbinical tradition, it’s often stated that the true miracle of Moses’ encounter with holy presence in the burning bush wasn’t that the bush was burning and not consumed, but the very fact that Moses noticed it: implying that all the creation is burning in the presence of God. We’re trained to only think in small, restricted contexts with everything wrapped in small boxes tied with the neat bow of our cultural and religious prejudices. And so the tendency is to relegate God to a limited church experience, disciplined prayer, study, or contrived evangelistic efforts. As we learn how to become aware of the Holy Spirit’s primary work in us at the heart of every moment, we see Gods’ presence illuminating through everything we experience and everyone we meet. The gift of childlike wonder breaks the yoke of the oppressive spiritual boredom that seems to plague contemporary, Western Christianity. We are then prepared to break free from the cynicism that marks our times, and emerge as prophets of hope and “hope does not disappoint, because the love of God has been poured out in our hearts by the Holy Spirit who was given to us” (Romans 5:5). All that I am, and all that I possess You have given to me.